Steven Todd Kirsch (born December 24, 1956) is an American serial entrepreneur who has started seven companies: Mouse Systems, Frame Technology Corp., Infoseek, Propel, Abaca, OneID, and Token. He invented and patented an early version of the optical mouse. In 2007, his personal fortune was estimated at $230 million, the majority earned from the IPO of Infoseek and the acquisition of Frame Technology. Kirsch has a Bachelor of Science and a Master of Science in electrical engineering and computer science from the Massachusetts Institute of Technology. 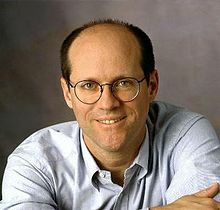 Steven Kirsch founded Mouse Systems Corporation in 1982. After he left the company, he co-founded Frame Technology Corp. in 1986 to market the FrameMaker publishing software. After Frame was acquired by Adobe Systems for $500 million, he founded a Web portal company, Infoseek Corporation, in 1994. After Infoseek was acquired by The Walt Disney Company, he founded Propel Software Corporation in 1999. He set up a $75 million charitable fund and became a philanthropist. In 2003, Hillary Clinton presented Kirsch with a National Caring Award from the Caring Institute in Washington, D.C. The award celebrates those special individuals who, in transcending self, devote their lives in service to others, especially the disadvantaged, the poor, the disabled and the dying. In 2005 he founded Abaca, which made a spam filter (99.99% accurate according to two reviews). Abaca was acquired by Proofpoint, Inc. in 2013. On August 11, 2007, Kirsch announced on his personal Web site that he had been diagnosed with Waldenstrom's macroglobulinemia, a rare blood cancer. His cancer was shrinking as a result of treatment using an experimental HDAC inhibitor, LBH-589. In September 2011, he started OneID which is creating a user-centric Internet-scale digital identity system that uses public key cryptography to replace usernames and passwords with a single, stable, secure, digital identity that preserves privacy and is compatible with the NSTIC goals. The technology was used by Salsa Labs in 2013, to increase the frequency and security of online donations. ^ "Steve Kirsch profile". Linkedin.com. ^ a b Markoff, John (December 3, 2007). "Spam's End? Maybe, if Time Allows". Nytimes.com. ^ "Kirsch Foundation: About The Founders". Kirschfoundation.org. Retrieved July 11, 2011. ^ "2003 Adult National Caring Award Winner". Caringinstitute.org. November 16, 2003. ^ "Tolly Group Review of Abaca" (PDF). Tolly Group. Retrieved 22 September 2011. ^ "Spam Star" (PDF). Network Computing. Retrieved 22 September 2011. ^ "Proofpoint, Inc. Acquires Abaca Technology Corporation" (Press release). July 25, 2013. Retrieved January 17, 2017. ^ Diana Kapp (February 22, 2011). "The one problem he can't solve". San Francisco Magazine. Retrieved January 17, 2017. ^ "oneid.com". oneid.com. 2012-06-14. Retrieved 2012-06-18. ^ "National Strategy for Trusted Identities in Cyberspace". Nist.gov. Retrieved 2012-06-18. ^ Hardy, Quentin (2011-11-03). "OneID Aims to Unite Devices to Fight Hackers". The New York Times. Retrieved 3 November 2011. ^ "Salsa Labs Launches Quick Donate". Salsa Labs. Retrieved 26 August 2014.